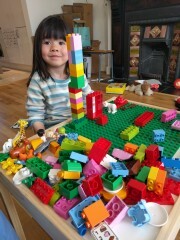 Erika playing lego in the morning. 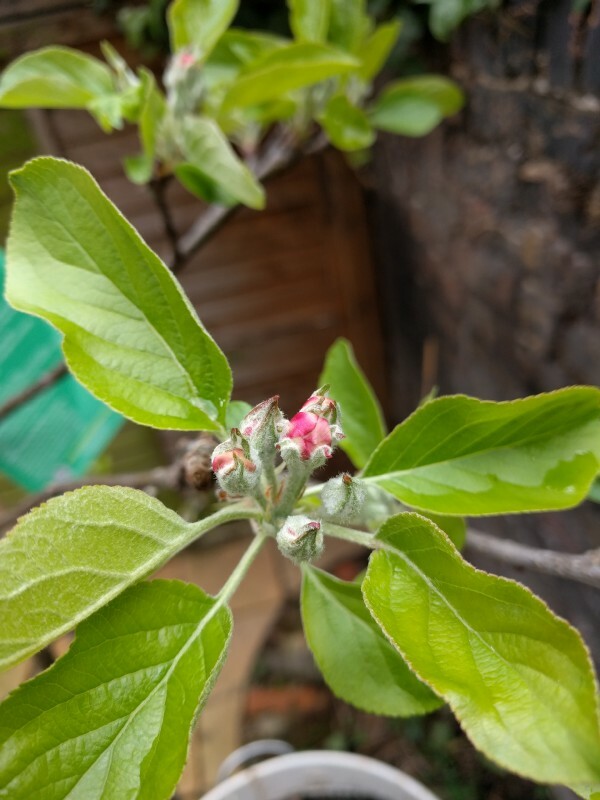 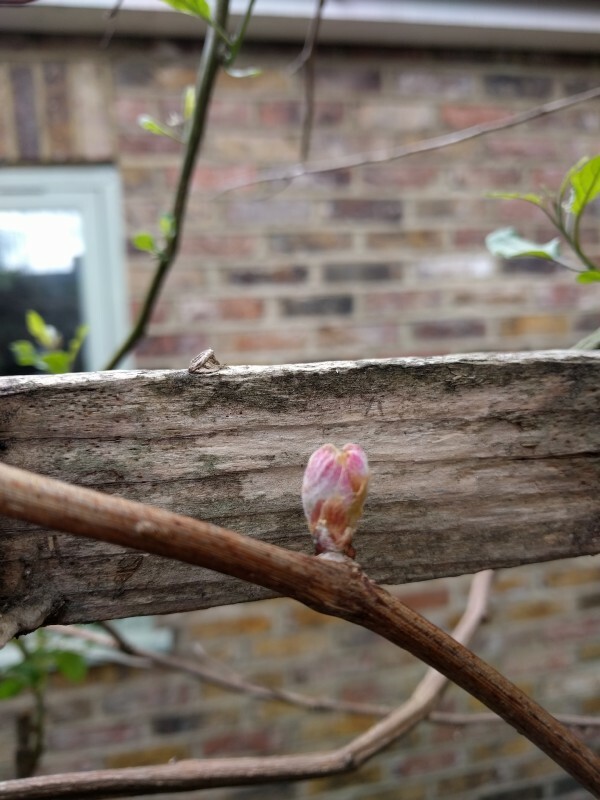 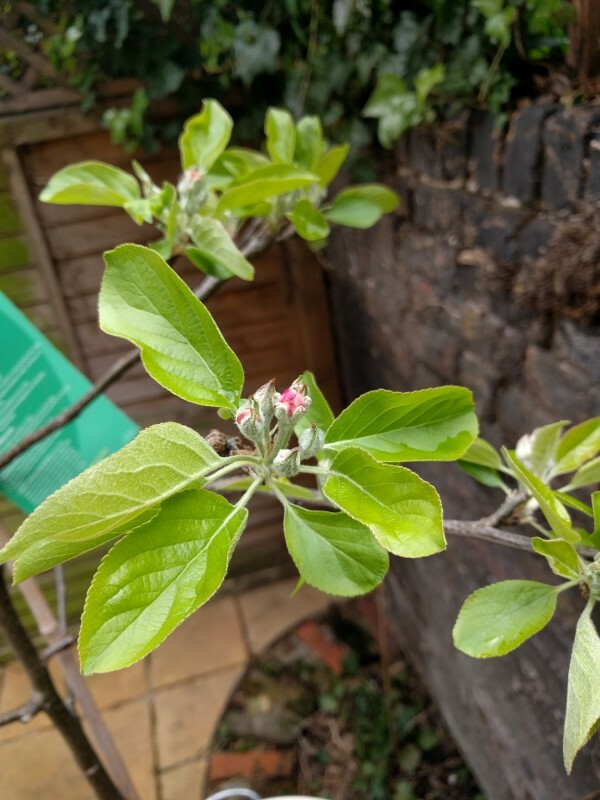 The blossom on my apple tree is starting to emerge! 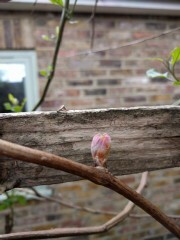 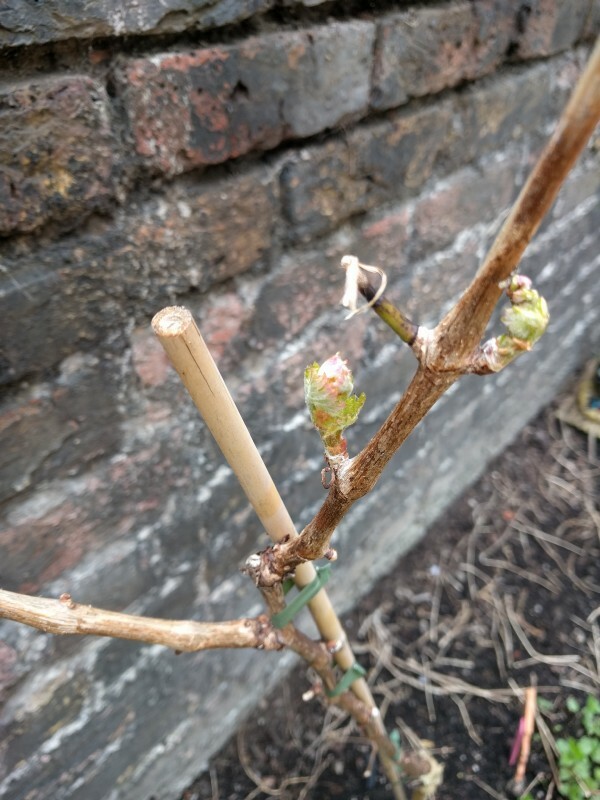 ...the buds on the vine still a few steps behind. 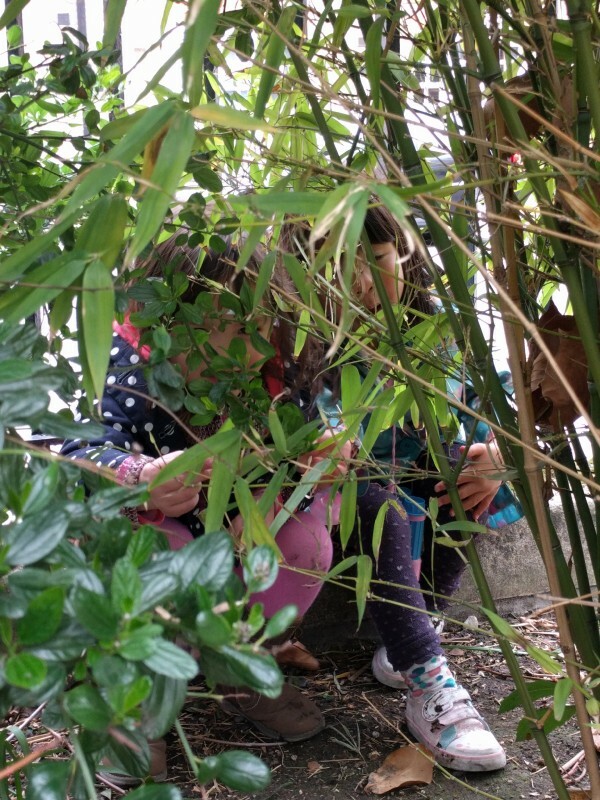 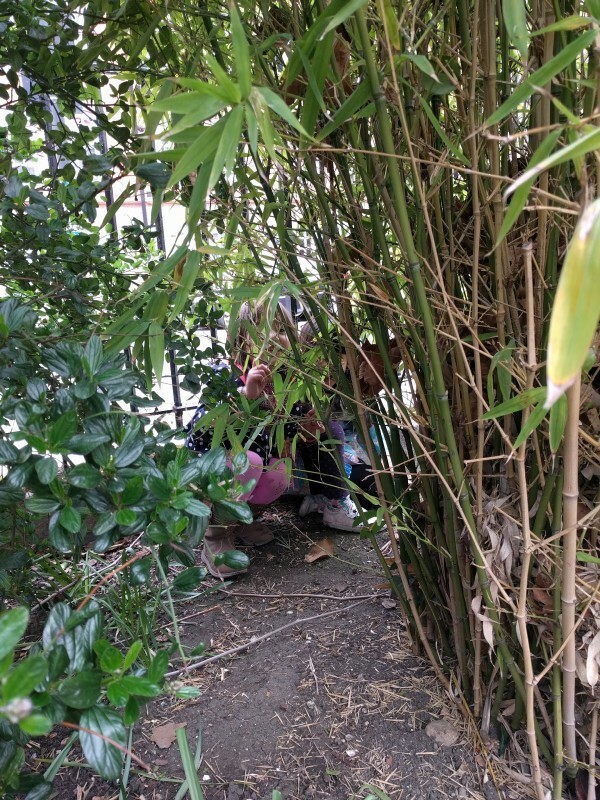 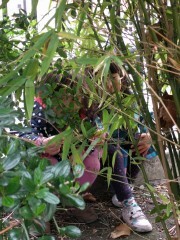 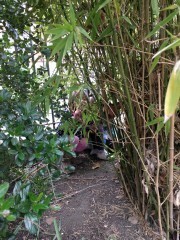 Erika and her friend hiding behind some bamboo. 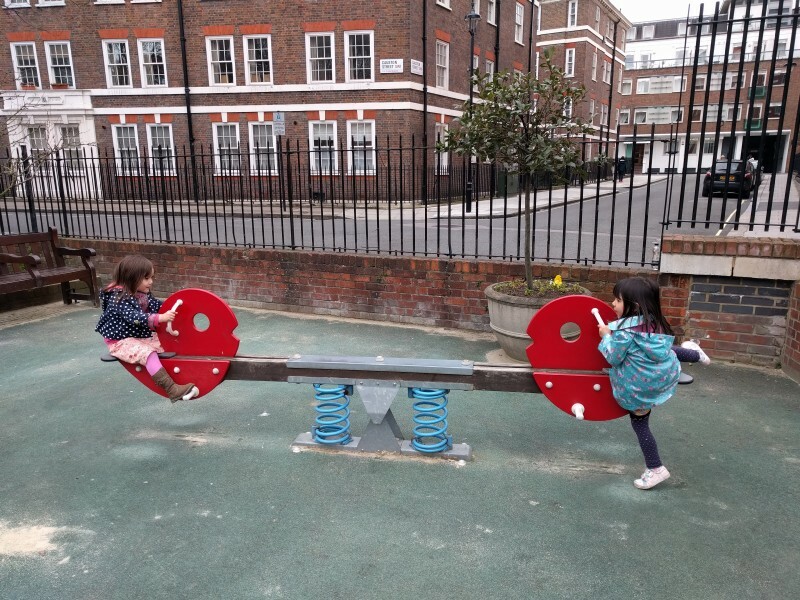 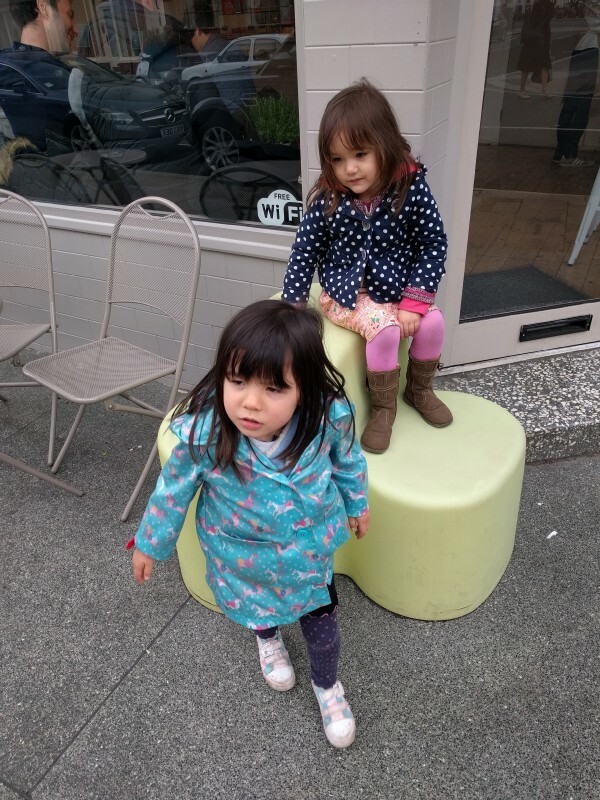 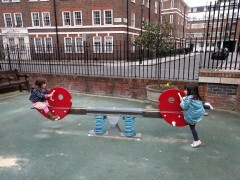 Erika and her friend of a see saw. Erika and her friend looking like trouble on the streets of Pimlico.